Our goal in the ALS Clinic is to make you as comfortable as possible while still providing world-class care. That means you might meet with as many as 11 different professionals over the course of a visit, but each one is here to make sure you have everything you need – not only while you’re with us, but also after you head back home. A physician to assess your condition. 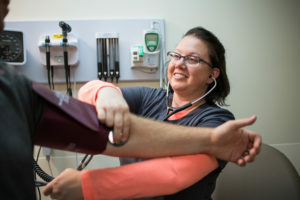 A nurse who coordinates your care to make sure you’re getting everything you need. A nutritionist to talk about keeping your body nourished. A respiratory therapist to help with your breathing. A physical therapist to keep you strong. An occupational therapist to show you how to do small but important things like getting dressed. A social worker to make sure you and your family are getting the services you need. 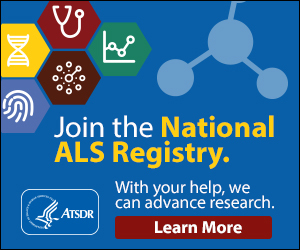 A research coordinator to make sure you’re aware of (and enrolled in) ALS studies as you wish. A speech pathologist to help you communicate. A wheelchair seating specialist who helps you understand mobility options that can improve your quality of life. A representative from ALSA’s Michigan chapter. See? It seems like a lot. But for us, each and every person you see is here to make your life with ALS the best it can be. It takes a team effort, and we are all here for you. You are more than welcome to bring a friend or family member to keep you company while you’re here. Your companion is welcome to participate in your appointment. We suggest you bring a lunch or snack and drink with you to the Clinic. The last thing we want is for you to be uncomfortable here. In case you forget, there are vending machines and a hospital cafeteria nearby, and your companion is welcome to bring you whatever you need. There’s always paperwork for each visit, so please don’t forget to bring a list of your medications. We understand that patients get asked for the same information a lot – and that we should know it by now! – but it’s important that we have current information on each visit. It helps us to avoid any confusion that might compromise your care. You’ll be weighed at the beginning of every visit. Once we get you in a clinic room, that’s where you’ll stay for each visit. We like to know where to find you, and we don’t want to make you work too hard!